Happy Birthday Pop Art Labs! Today was the first year birthday of the Pop Art Labs. Sadly, I got there rather late for the celebrations – the birthday party had already been running for a good 6 hours by the time I popped in! Still, the Labs looked festive with fabulous flowers everywhere, a band called Engrama was playing and people were dancing, or mellowing out as the sun rose in the early morning sky. Here are some photos recording my very late visit to the birthday bash. A big congratulations and Happy Birthday wishes to Pop Art Labs and the charming master mind behind the whole fabulous operation Claus Uriza! Happy Birthday to PAL- Pop Art Labs! Happy Birthday Claus and everyone at PAL! Spawn of Sotek listening to AC/DC in the Rock pavilion! 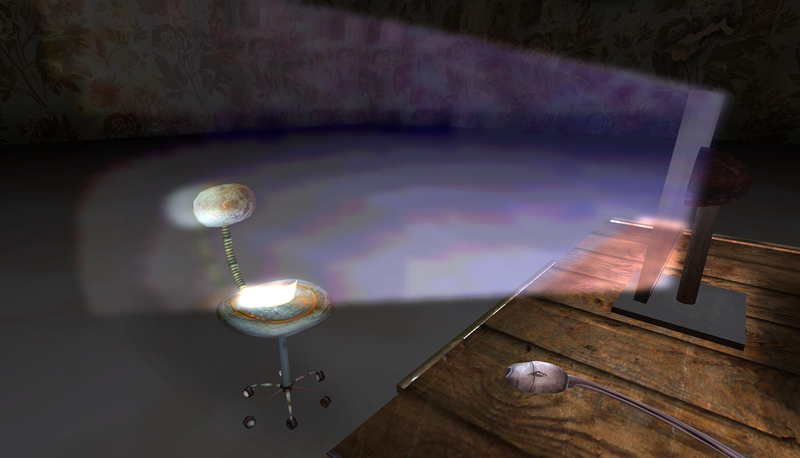 One of my favorite places in Second Life is the Pop Art Lab (PAL) created by Claus Uriza. Earlier in the week I was lucky enough to see Claus, and (despite being really busy) he took me on a tour of the secret chambers hidden around PAL. (Just click on the heart shaped boxes of chocolates dotted about the Labs to teleport to the surprise locations.) Claus told me that he has approached 5,000 visitors since the Labs were officially launched on September 5th! Not bad! 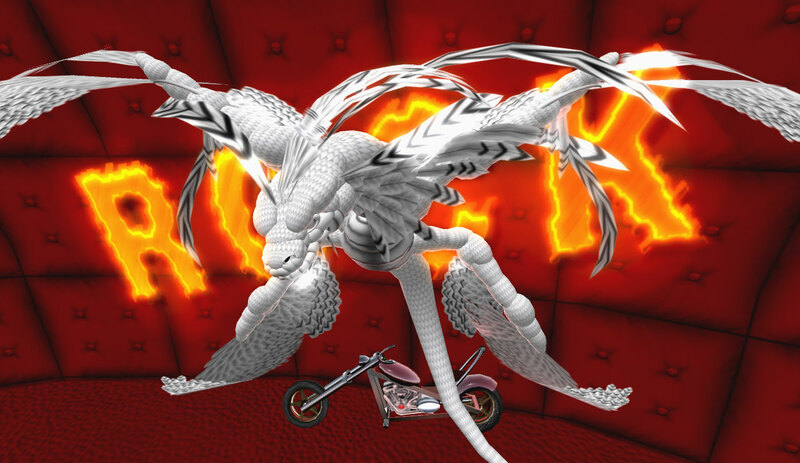 The Labs are a test project, analyzing the 3D world platform as a location, where you can listen to new album releases in Rock, R&B/Hip Hop, Electronica and Pop styles. (You can also watch movie trailers here too.) Media is streamed in 24/7 and updated on a daily/weekly basis at the Labs, and what is more you can hear the new CD releases in full length! As I wrote in an earlier post ‘plug it in, change the world’ a visit to PAL is like taking a walk inside an old fashioned radio. Lily Dryad (Veyanki) dancing to New Order in the Electronica pavilion. 3D web pages, browsers and online social networking spaces are currently undergoing considerable experimentation at the moment. A number of companies are trying ideas out and the 3D concept is taking on various manifestations. Try typing ‘3D web browser’ into Google to see a slew of new approaches eg, SpaceTime, ExitReality, and 3BRooms, not to mention sites such as Google’s Lively. The ‘killer application’ may not have appeared on the horizon just yet but you can see hints of what is to come. It makes a lot of sense to promote music the PAL way; just imagine something like iTunes as a 3D world shop with rooms to chat, dance and share recommendations etc. A visit to PAL is a glimpse into the future of music promotion and marketing. 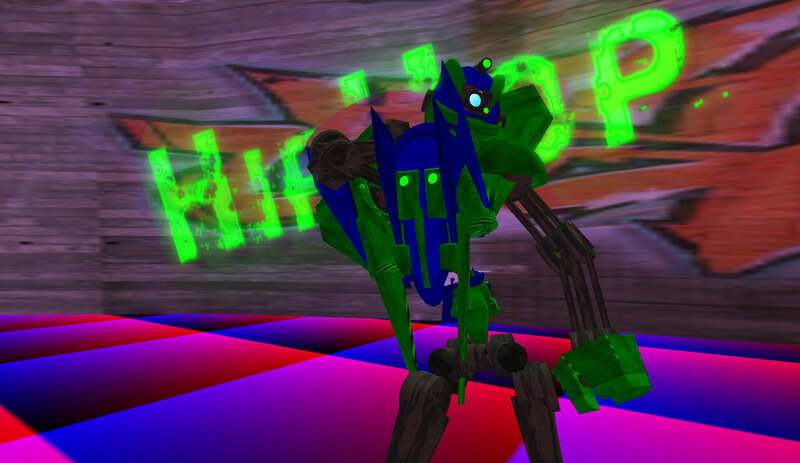 Robot dancing to Lil Mama in the Hip Hop Pavilion. Claus is always thinking of new things to entertain his visitors, whilst also managing audio streams for recent album releases and setting up live music events. (Take a look at his blog at http://popartlab.blogspot.com/ to see previous events and get notices for new upcoming live shows.) Claus promotes music is a novel way, demonstrating how business promotions can work in Second Life if they have some intrinsic value (i.e. they are entertaining and/or informative). 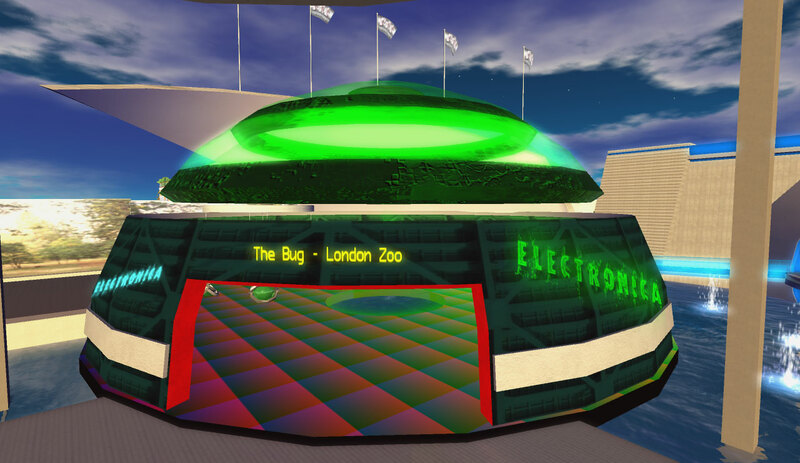 A teleport is very easy in Second Life, that means it is equally easy to teleport in as well as out again! The secret is to make the teleport worth while and keep your visitors. Claus keeps his visitors at PAL, and the live shows can be completely packed as Speedmaster Bing describes in PowerMatch. 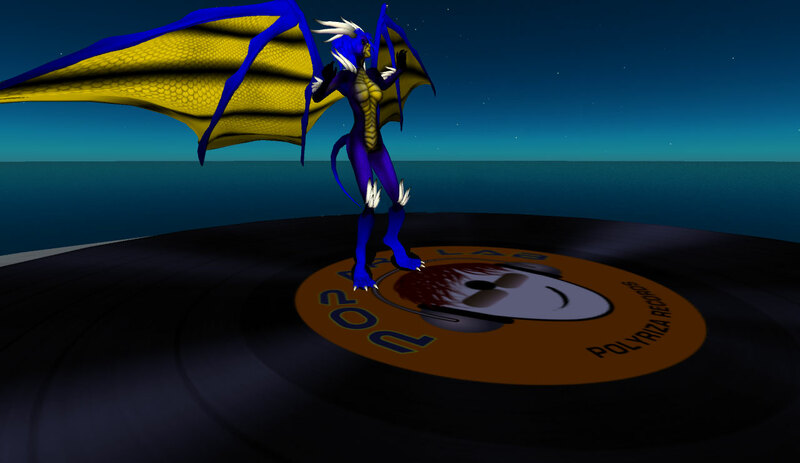 Royal Draconite dancing on the roof of PAL. For the pictures in this post I switched around avatars at PAL (while listening to the music streams of course). 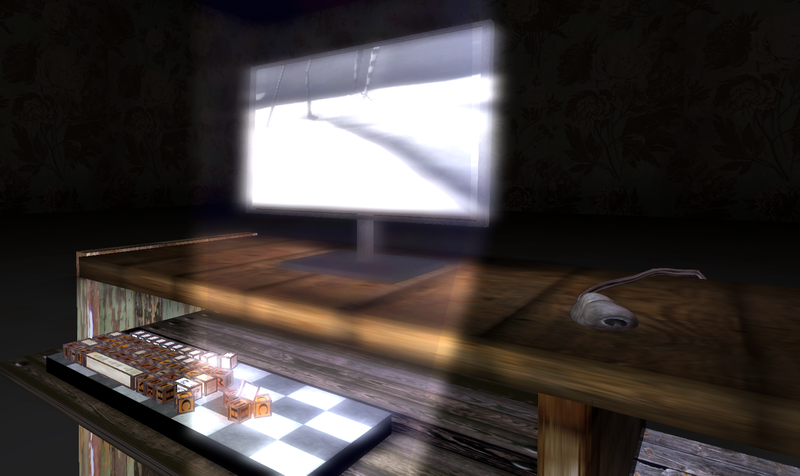 Then I added dance animations and tried to photograph my avatar as it careered around! I am wondering if this could qualify as a new form of action photography? Mind you, attempting to catch the ‘Decisive Moment’ of avatar dance animation made me wish I had a motor drive on my digital camera! Pop Art Labs will be featured on SLCN’s TV show RealBiz on November 3rd at 2pm (SLT) and this appearance will include a tour of the Labs. Robot Seeker created by BUFF Steinbeck. 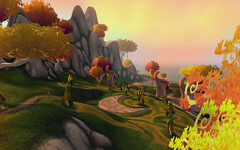 I am building a Second Life landmark gallery for my students who will be new to Second Life. I look for good examples of places to visit, take a photo, add a note card and landmark, then fold all ingredients together with a touch of basic scripting. People can wander around the ‘gallery’ pick a picture that interests them and teleport straight to the featured location. All sounds easy enough but it is a surprising amount of work! 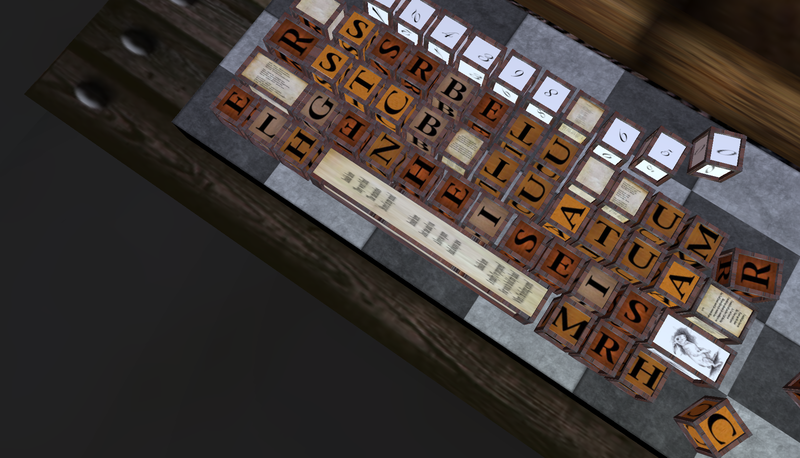 Oh well, I am not complaining because in the process of doing all this I get to find new places in Second Life™. Sometimes, I find real surprises. I like finding virtual places that are just that little bit different, where people are being adventurous and exploring the platform, even pushing it to its limits. The main group of people playing so imaginatively are the Second Life artists who are exploring the NPIRL possibilities, but every so often I find others making something intriguing that draws me back for another visit. One place I found recently is Claus Uriza’s Pop Art Lab. I imagine everything here is possible in real life if money were no object? This charming Dane is creating something that could be described as an immersive, 3D radio station. The colors and shapes reminded me of a pinball machine or an old fashioned valve radio that had turned psychedelic! 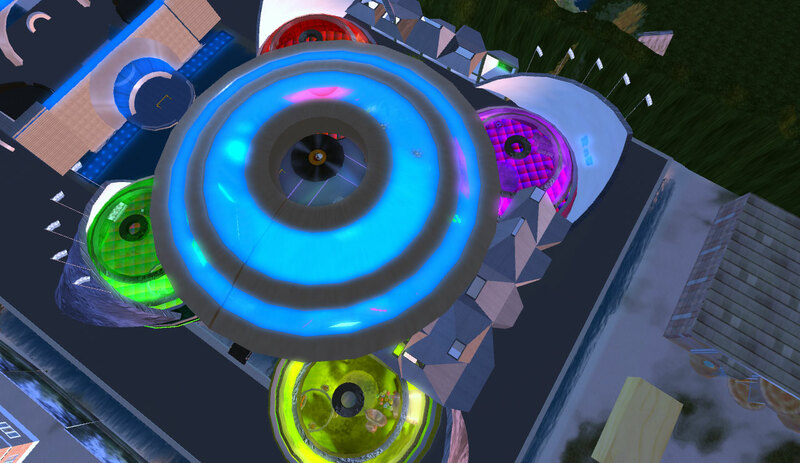 The Pop Art Lab houses 4 colorful music domes, and music is streamed into the central dance courtyard that lies between the domes. The music stream shifts from dome to dome over time. One of the features I really liked about PAL is that you can see which dome is producing the music and go in to find out the name of the artist and the title of the track. Even better you can check to see what was just playing and see what is coming up. If you don’t like the stream of music coming into the central courtyard you can walk into one of the other three domes and listen to completely different music. Every day Claus features a new album in each music dome so go and listen! Walk around inside this 3D internet music juke box, you might hear something new that you like! PAL provides a glimpse of the future for listening to music on the Internet; we will immerse ourselves in the sound, and listening will potentially become a more interactive visually immersive experience too? Our avatars will walk around inside internet radios, changing the music streams by where they chose to walk just as we can in PAL. Claus Uriza will officially launch the Pop Art Lab later this year; for now he is still testing everything out, paying close attention to every detail to create a quality experience for his visitors.